Brian from Kizugawa City here. 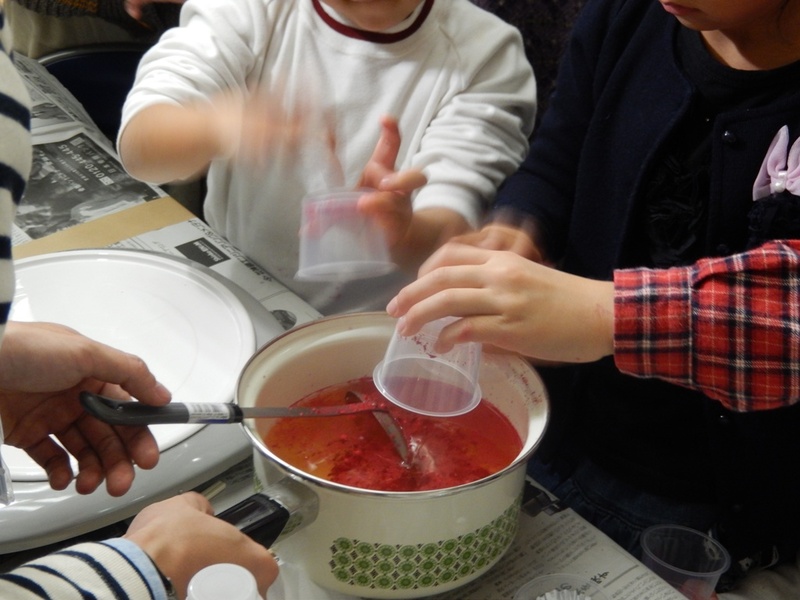 On December 7th, Kyotanabe City, Seika Town, and Kizugawa City had a candle-making event for Christmas. The CIRs of the three municipalities – me, Polly, and Steven got together to host this Christmas event. 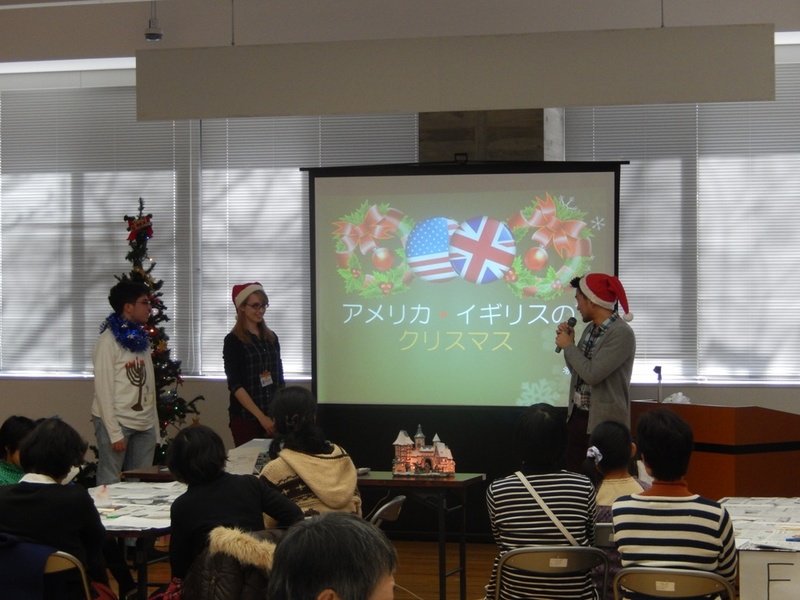 First, we introduced the American and British traditions for Christmas, as well as Hanukkah. We sang Christmas and Hanukkah songs and we made Christmas candles. The candles were eco-friendly candles made from expired oil, oil solidifier, crayons, and essential oil. 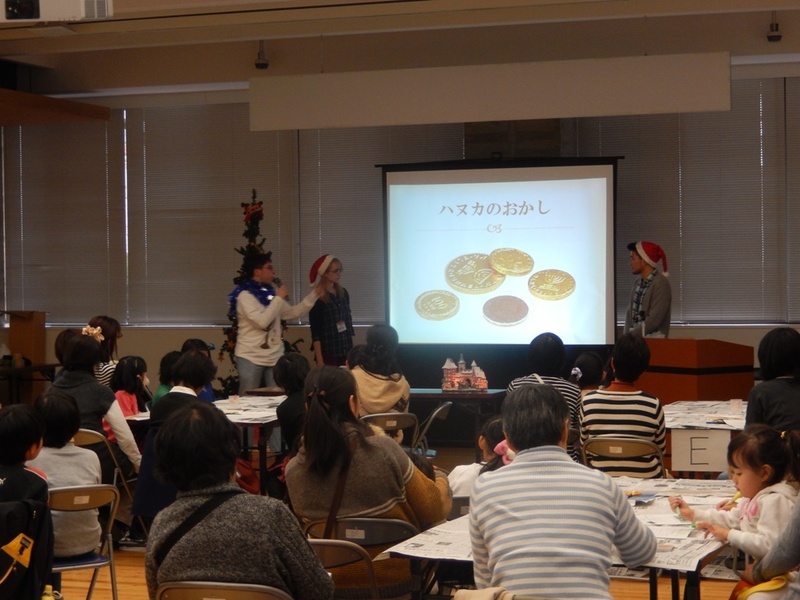 We taught the kids “We Wish You A Merry Christmas.” As expected, many kids knew the melody but didn’t know the lyrics. We started from pronunciation and played games with them. Lastly, we wrote our Christmas wishes together. 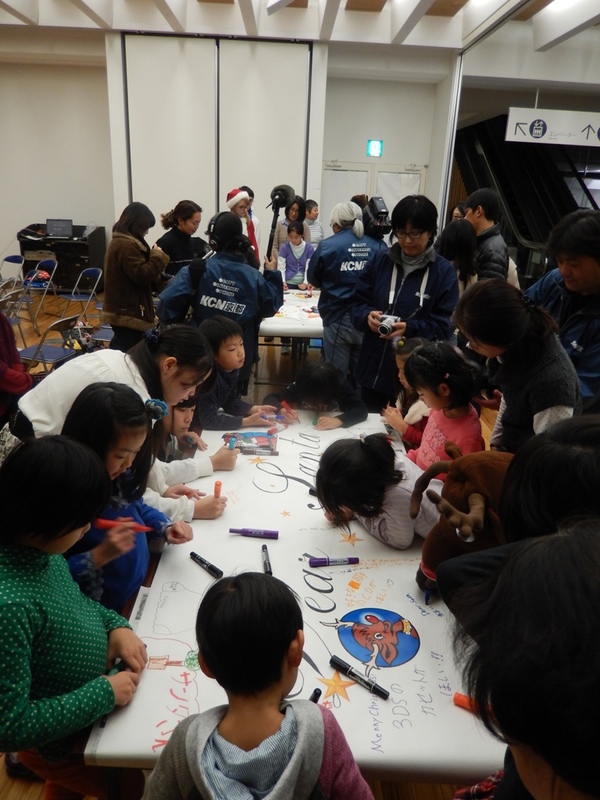 I felt that we brought some of the Christmas festivity and sentiment from home to Japan. Even though it was a little early, I was happy that we could gather and celebrate together. Merry Christmas, everyone! And please look forward to our next event! On November 17th and 24th I did a presentation about the Gironde area in the south west of France, where Bordeaux, my hometown, is located. I divided the presentation in 2 parts, and made it sound like we were really traveling from Japan to it, going onto a bus trip around the area and enjoying its highlights. I spoke as if I was a guide of a tour trip and people really seemed to enjoy it, smiling and laughing a lot. 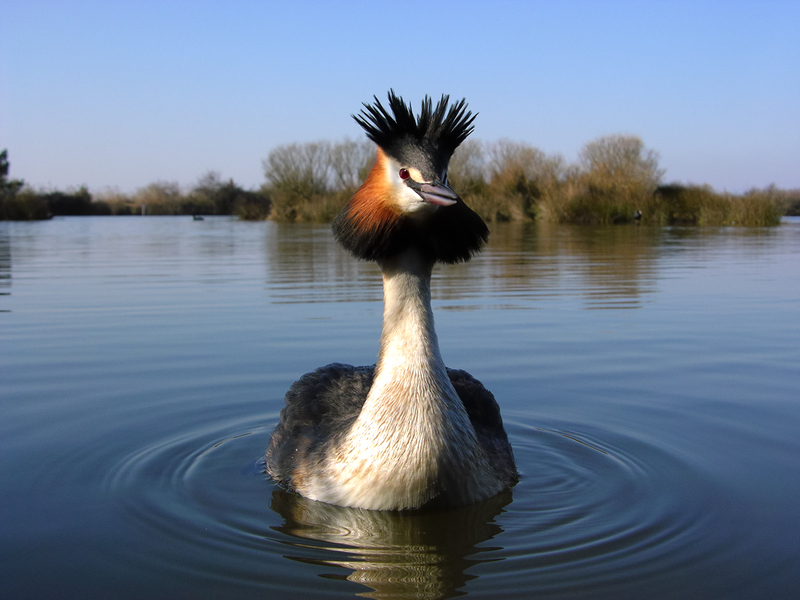 The Gironde department is the biggest in France, and the estuary formed by the Gironde River flowing in the ocean is the biggest of Europe. 45% of the territory is covered by forests and 12% by vineyards, its surface making it the biggest in France. Thriving industries include traditional industries but also the wood industry and high-tech industries such as aeronautics. On the first day, our trip started from the Arcachon bay, located 30min by car from Bordeaux city. Arcachon is famous for its oysters, mussels and its Winter Town. The winter town was built mostly in 1860, when tuberculosis was plaguing Europe and the only form of treatment was to retreat to a place with a “good environment”, which is to say a mild climate and good food. Rich patients came to rest in the winter town of Arcachon with their whole family and servants, which explains that houses there are particularly big, colorful, refined and of very different architecture styles. 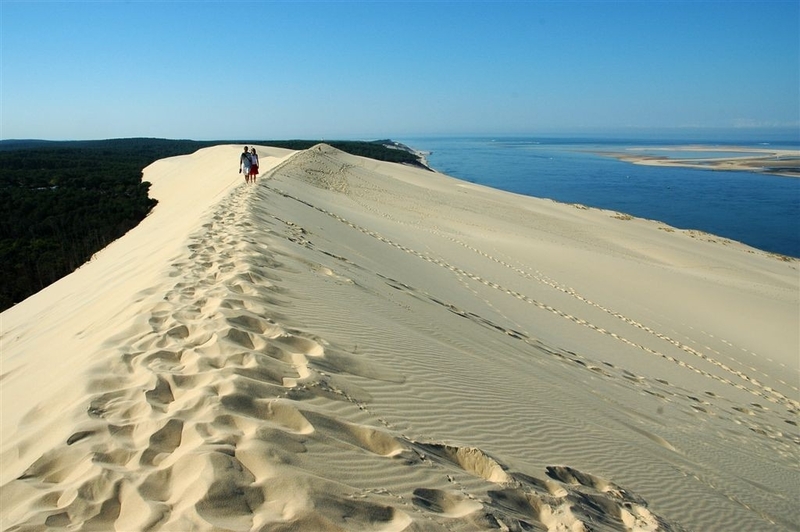 Next to Arcachon can also be found the Pilat sand dune, the tallest in Europe. It’s really tiring to climb it, but once you reach the top, you are rewarded with a breathtaking view of the whole bay. Moving from the sea, I then introduced the most famous fortified towns of the Gironde department, such as Saint Emilion, listed as a World Heritage site and famous for its unique almond macaroons. We also visited a few fortified castles and churches before ending the tour in the Gascogne forest, the biggest forest in all European Union. On the second day, we discovered the many festivals, cultural events and food the area has to offer. 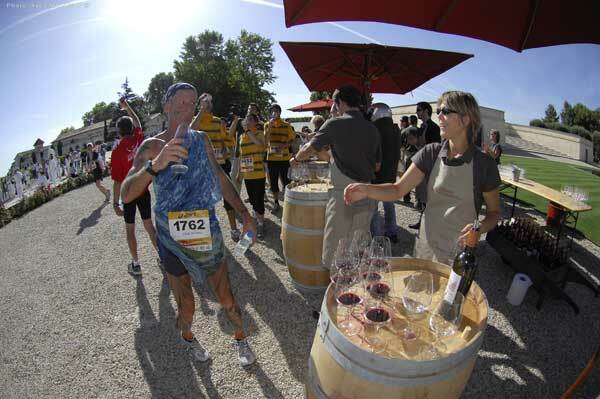 First, we enjoyed many wine related activities: find your oenological sign to know which wine fits you best at la Winery, enjoy wine and grape-based beauty treatments in “les Sources de Caudalie” spa center, or try medieval style harvesting before sipping on middle-ages wine. Other than wine related activities, outdoor fun is plentiful: stay at a farm and discover fresh regional products, observe migratory birds in their natural environment, go down the Eyre river in canoe, ride the more than 600km of bicycle paths running within the department, hike along one of the three roads of the Way of Saint James or much more. 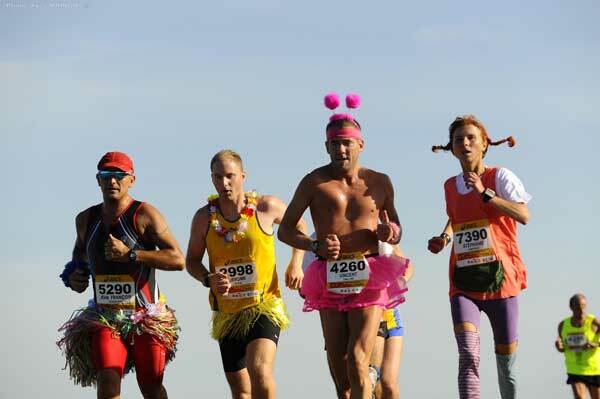 After that, we ate Bazas beef, a nationwide recognized brand such as Kobe beef, and participated in the Medoc Marathon, worldwide famous for its casual atmosphere with 90% of the participants wearing costumes and with wine being distributed at break points. 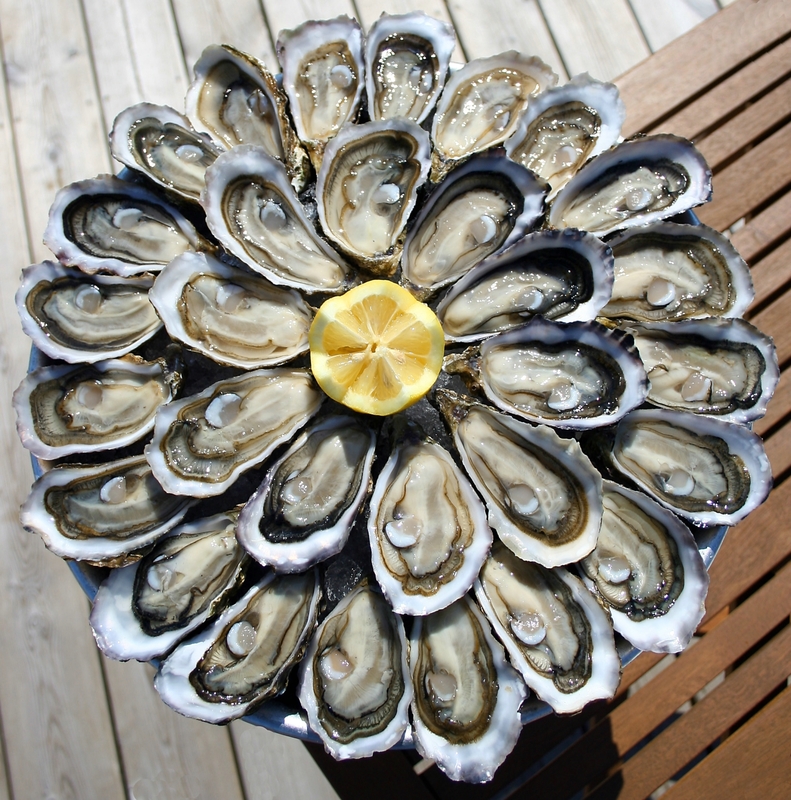 You can also taste oysters, mussels and rib steaks at the breaks. More than 9,000 people participated in this year’s marathon, with 3,300 people being foreigners from more than 50 countries, Japan included. Another event I really like is Soulac 1900. Soulac is a beach town located at the northernmost tip of the department. Every year in June, the whole town goes back to the 20th century, with people wearing costumes, and many events of the time being held such as Mr. 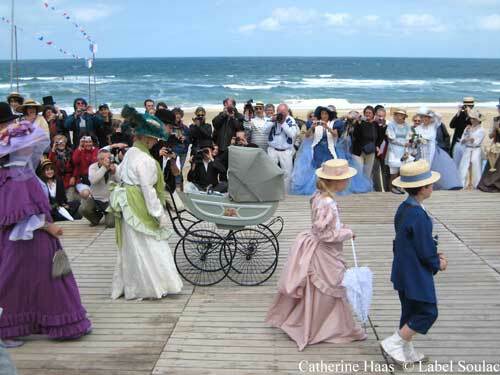 Muscle contest, a race of beach changing cabins, a costume contest and many concerts just like the old times. Just before coming to Japan I went there costumed and won a prize for it. It was really happy! If you have the opportunity to go to Bordeaux, really take the time to visit its area as it’s full of treasures waiting to be discovered! 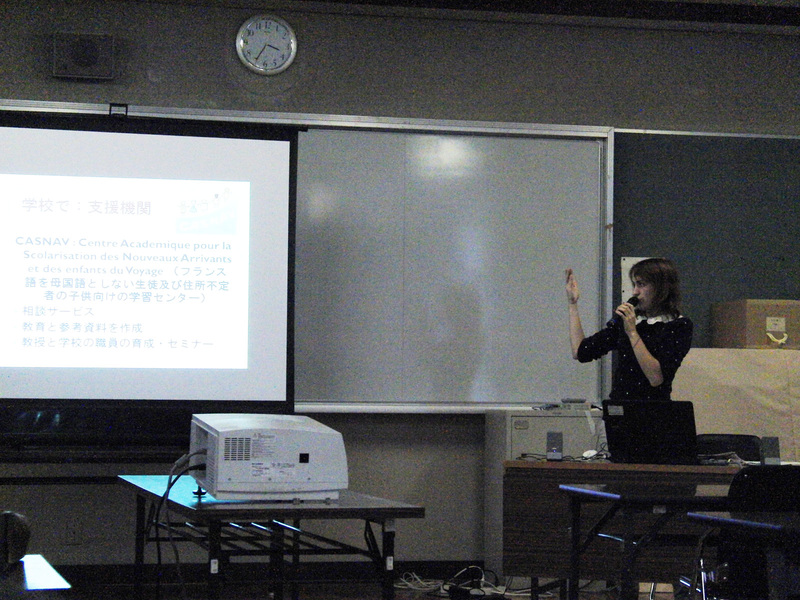 Alice from Kyoto Prefectural International Center here. “High school visits” was the name of the game for my November. 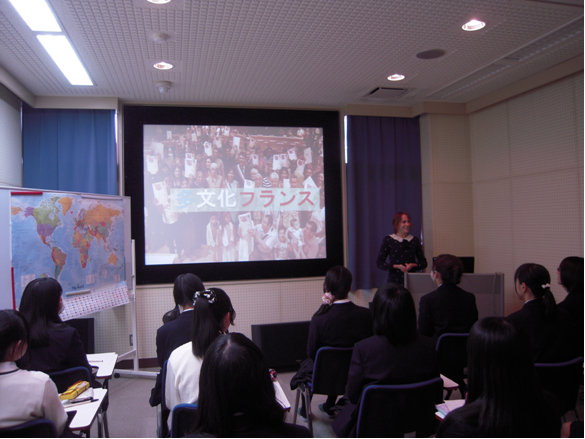 I did two presentations about France’s multicultural society and multiculturalism in Japan for high school teachers and high school students, and accompanied French high school students visiting a high school in Kyoto and meeting the students. 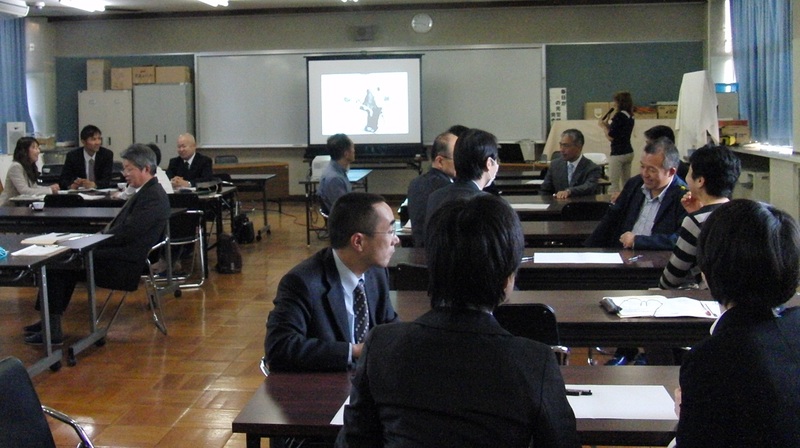 First, on November 5th, I went to Kumiyama high school to give a presentation for the 2nd research seminar for teachers in charge of international education in prefectural high schools. I chose to first introduce the state of France’s multicultural society, which is to say the percentage of immigrants in the population, their ethnicity and the jobs they do, before focusing on integration policies put into place by the French government, especially at the school level. I re-used part of the presentation I did in May at the Center, so if you want to read more about the content, please check the following article here. I also asked the participants the image they had of immigrants, and we compared them with those French people have. The most spread image was a worry if immigrants could adjust to Japanese society. It was interesting to see that the image of immigrants in Japan is much contrasted: while some people saw immigrants as perfect speakers of Japanese, some saw them primarily as English speakers only. For others, they were particularly wealthy with no problem to fit into society, while for some they were really poor and had difficulty to adjust. Some of these images are shared by French people too, except for the language one. Indeed, most of immigrants coming to France already speak French or speak it fluently within 5 years of their stay. Another widespread stereotype about immigrants in France is that they live off unemployment allowance, an image that was not raised by Japanese participants. I then organized 2 workshops. – Workshop 1: understand social exclusion and loneliness. I put colored seals on the participants’ brows, and asked them to form groups. Only one participant had a particular color and he soon became excluded as people formed groups based on their seal color. From this workshop, two things were learned. 1. First, even though I didn’t say “form groups based on the seal color”, people automatically grouped with those who were similar to them. Humans do indeed have a tendency to form groups with those like them, so it’s even harder for newcomers (and immigrants) to fit it in groups. 2. Secondly, the person who was left alone could experience what it means not to belong, to be excluded from everybody and feel alienated because you are different, and the anxiety it triggers. I put people in groups and asked them to draw something, except I gave the instructions to one group in French. When people presented their drawings, I asked that everybody applauded and complimented them on their drawings. However, the group I spoke to in French was unable to explain what they had to draw and showed a random drawing they did just to do something. I then got angry at them, asking why they couldn’t get such a simple instruction. 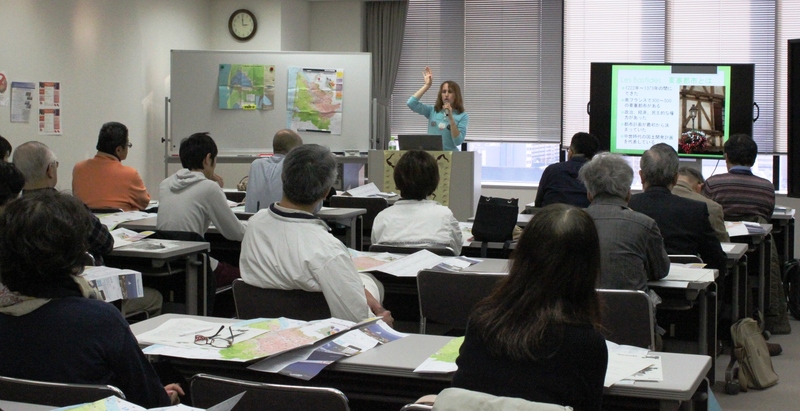 From this workshop, the estranged group experienced the language barrier, and what it feels not to understand things while everybody around you has no problems at all; a problem often faced by children with multi racial roots in Japanese schools. To end, I talked about the current state of multiculturalism in Japan. 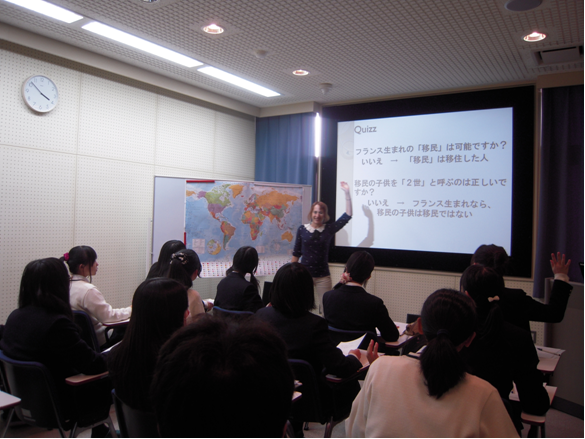 If a lot is done to help international residents function by themselves in Japanese society (such as Japanese classes, disaster preparedness trainings, guidance on Japanese school life), these events also unintentionally spread the image that foreigners can’t speak Japanese and have problems adjusting to Japanese life, therefore they need help. 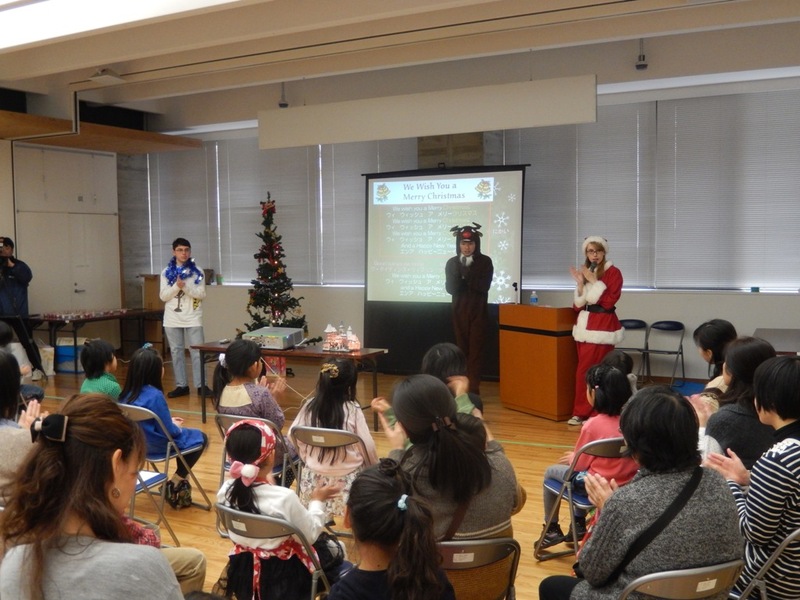 Moreover, Japanese people participating in this kind of event are almost always people who already interact with foreign cultures and are thus already more open-minded about differences. What we need to do is to get Japanese people who have no interaction with international residents to know about them, about different habits and cultures, and create more opportunities for international residents to meet the Japanese people living in their area and community. Only then could multiculturalism progress, when people stop thinking of the other as “different”, but only as “somebody that lives there just like me”. The teachers’ reactions to the workshop were really good, many of them saying they got to broaden their way of thinking through the workshops and realized that they too, held onto the image of foreigners as guests and not as active participants of their community. I think multiculturalism starts with education, and I was really glad to have this opportunity to interact with high school teachers, who have a part of responsibility in shaping the next generation. 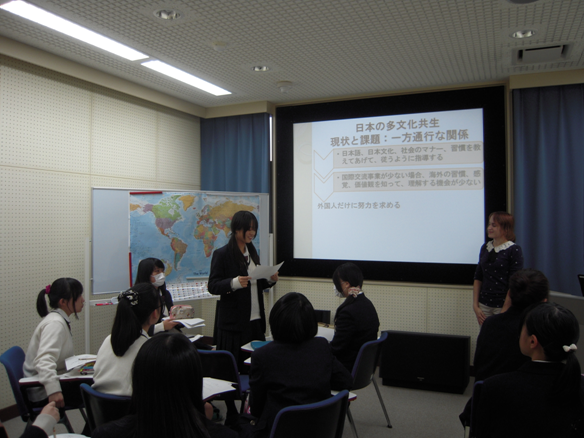 On November 8th, I did almost the same seminar and workshops in Sagano High School, but towards high school students this time. Instead of focusing too much on integration policies, I spoke about the problems raised by Islam and Islamic women’s veils in France. Freedom of religion (therefore the right to wear a veil) and secularism (the state has no religion, not to put too much emphasis on one’s religion in the public sphere) are often opposed when it comes to Islam and its practices, so I spoke about this recent problem in French society. I also showed them the movie “Entre les murs” (The Class), so they could get an insight into a multicultural junior high school class and how the teacher has to deal with all the different cultures and opinions of the students. 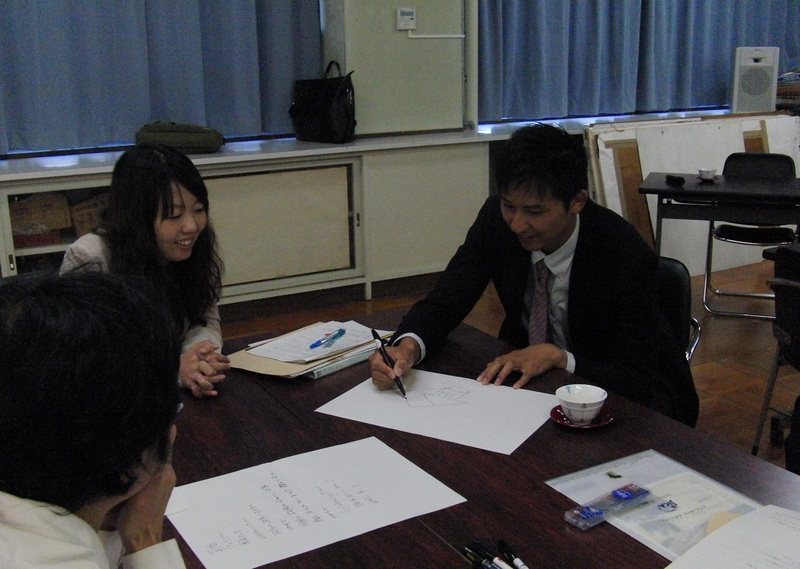 I organized the same two workshops as above, and the students’ reactions were stronger than the teachers’ ones. Indeed, it is harder for a high school student to face social exclusion, language barriers and shame for being different, or not being able to fit in a group or fulfill what is wanted from them. As an adult, it is easier to use previous experiences to know how to react and deal with harsh situations, but students are more likely to be affected by them. As there are no multi-racial children in their class, they said they would use this experience and keep the feelings they experienced in mind when dealing with the children they meet outside of school and international residents. 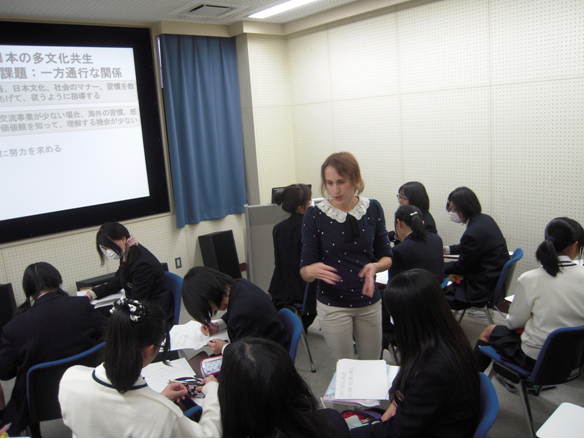 In the end, I added another workshop and asked the students to write a few proposals about “How to build a successful multicultural society in Japan”. I was very impressed by their answers and how they really thought about it. I got answers such as “interact more with different cultures”, “understand different cultural codes and values”, “do not impose one’s views upon the other”, “do more seminars like this in school” etc. It felt really rewarding to interact with these students and learn so much from each other, and I truly felt I made a small change to the way they will perceive society and other cultures from now on. 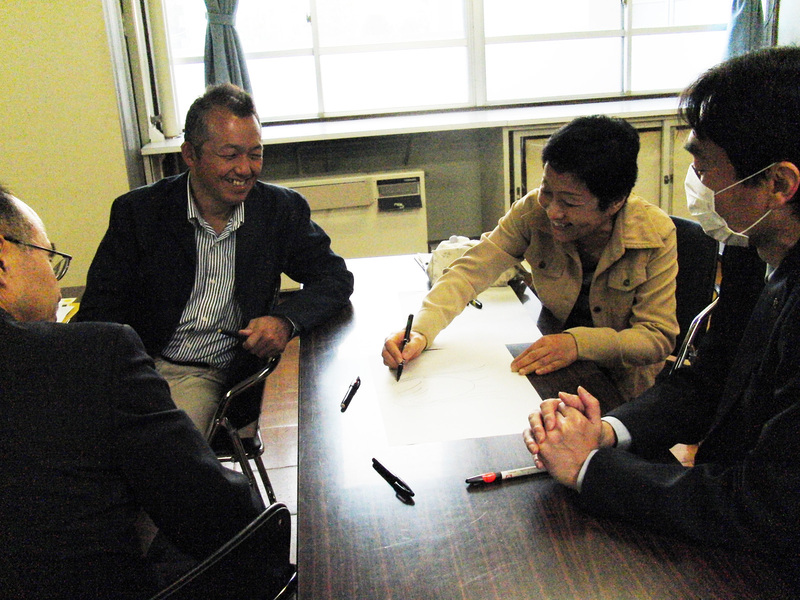 A small step towards the Japanese multicultural society of tomorrow! Alice from KPIC! 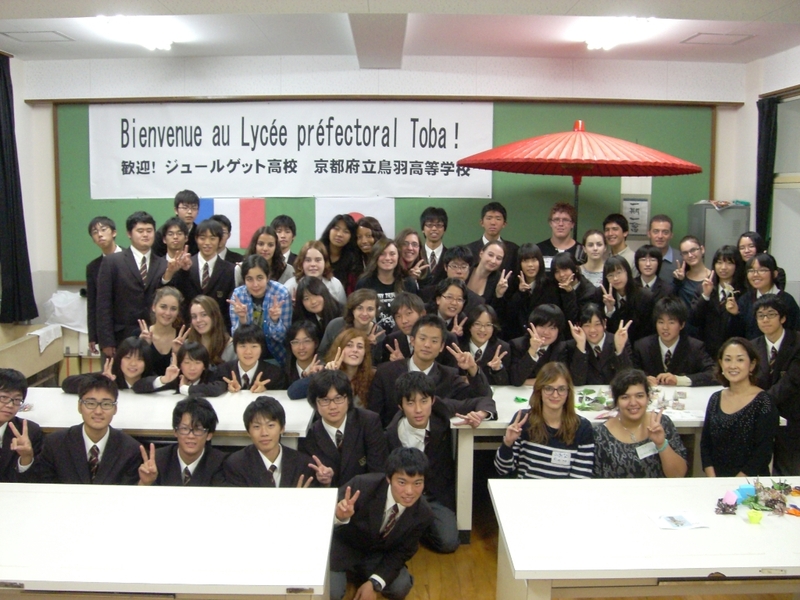 On November 7th, I meet with a class of students and their teachers from Jules Guesde high school in Montpellier, France, to visit Toba high school in Kyoto. 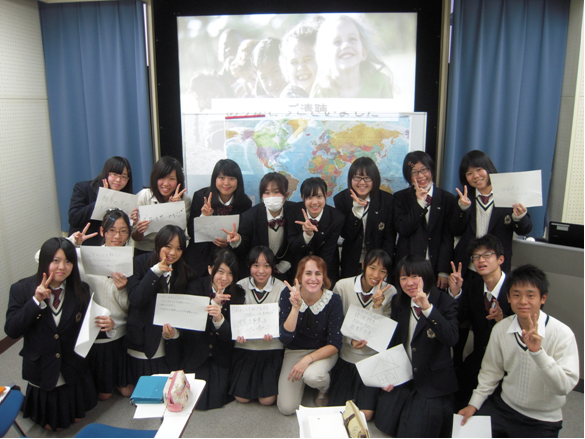 It was their second visit to Kyoto and it was nice to meet the teachers again. The students welcomed us when we entered the school grounds, and showed us to their classroom where we attended a welcome ceremony. After a speech from the school director, students first watched a tea ceremony performed by a teacher from the Urasenke School of tea. 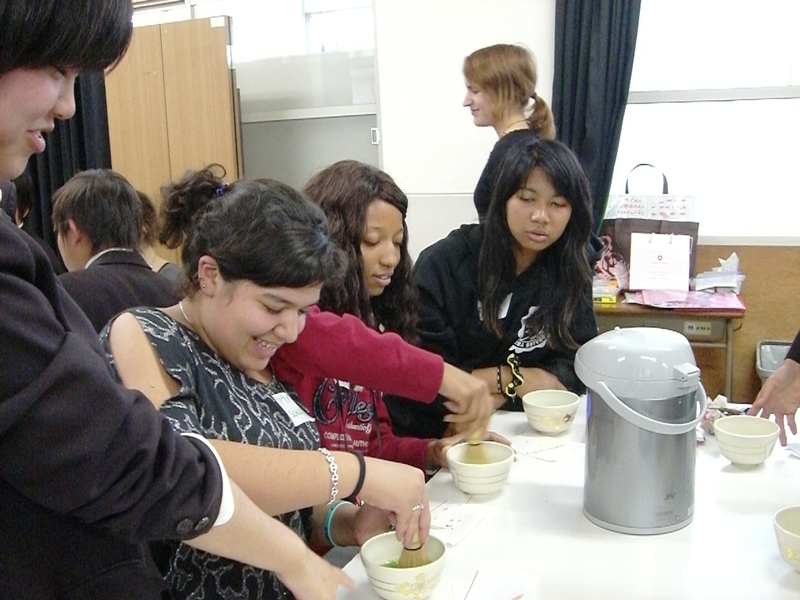 It was then time for them to prepare their own Japanese matcha green tea! Matcha comes in a powder form, so you have to put just the right amount of water and stir quickly with a whisk. Even with a lot of practice, it’s still really hard to get the perfect consistency, but the students did their best! 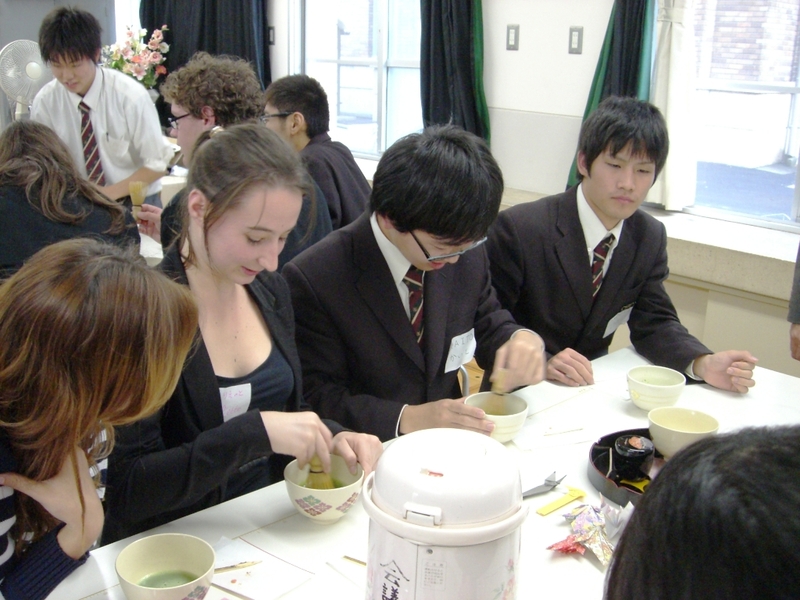 It was interesting to note that while some French students who took classes in France were really good at preparing their tea, some Japanese students didn’t manage to make it. Practice really makes perfect! It was then time to visit two sports clubs of the school: the Sumo club and the Kendo club. It is really rare for a Japanese high school to have a Sumo club, so it was a big surprise for me as well! Students were really passionate about it, training all week, even in rain or freezing winter temperatures according to their teacher. We got to take a picture with them and watch them practice. I really enjoyed the fair play of the students: they didn’t mind losing, didn’t try to get any kind of revenge, and all wanted to train with the best student to improve. 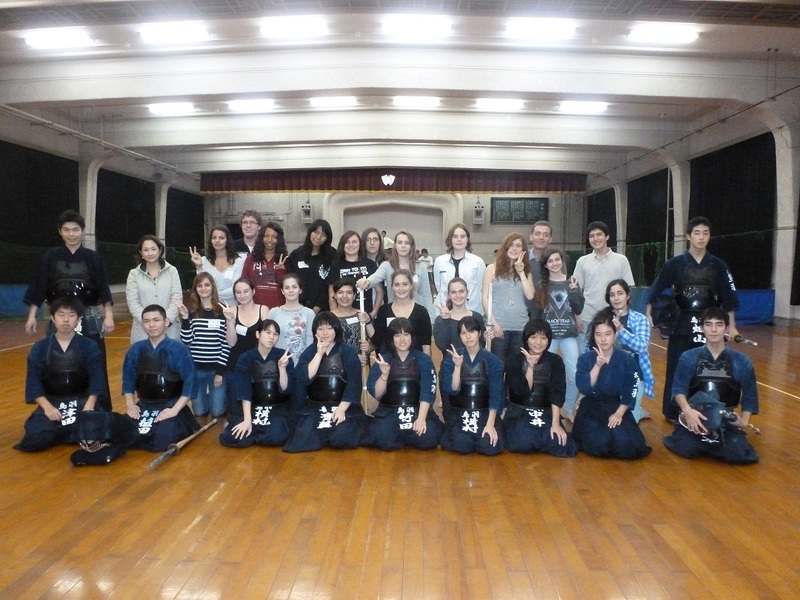 After that, we went to the Kendo club inside the school gym. We were welcomed with powerful shouts as students aimed and lowered their swords very quickly at each other. The practice gear was also really impressive, with a full helmet and armor, and the large Kendo pants. I think I was not the only one impressed, as I heard whispers of “it’s just like in Kenshin” and saw the sparkle in the French students’ eyes. The students were really nice and let the French students practice with them! Each of them got a wooden sword and tried to hit a precise point on the helmet of their opponent. 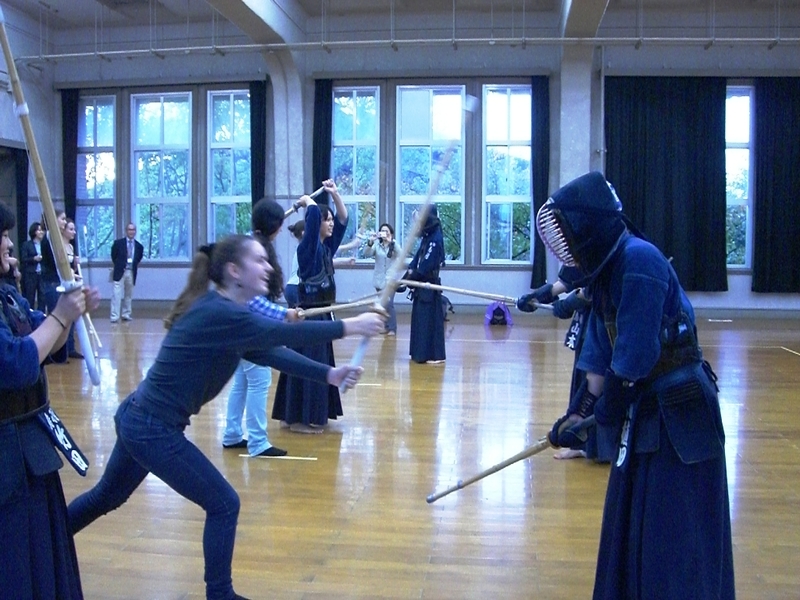 I never tried Kendo myself, so it was really nice to see everybody practice with such passion. Japanese schools sports clubs are really like professional clubs in France! After returning to the classroom for a farewell speech and group picture, it was time for the students to say goodbye to each other. I really hope they will be able to come back in the near future and meet again with their new friends at Toba high school! It was so refreshing to meet with French high school students. Their love for Japan and its culture, their passion about studying Japanese and building plans to study or live here in the future reminded me of my own self a few years ago, and I remembered why I decided to come to Japan and all the way I’ve come. I hope this exchange between the schools will blossom in the coming years! Hi everyone, Steven from Seika here. The topic for this post will be the Seika Children’s Festival, which took place on Saturday, October 19th in Seika’s Mukunoki Center. I attended the festival to assist with the booth run by Seika Global Network, a private international exchange association which works together with the Seika town government. 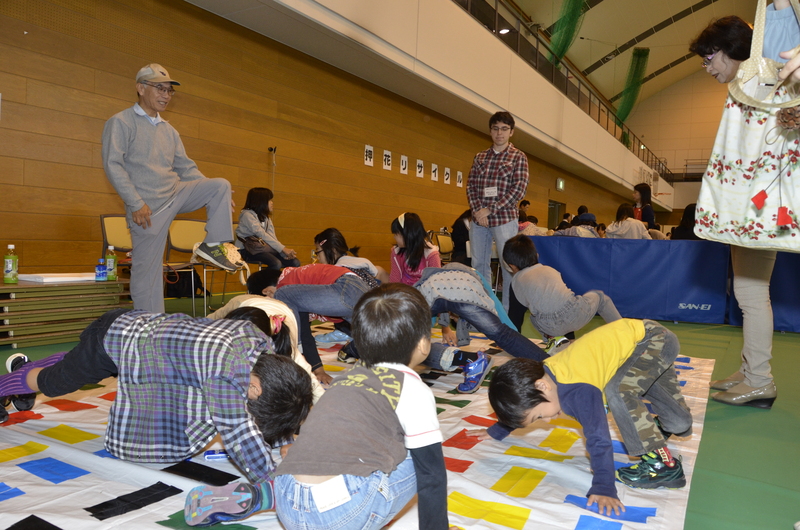 Seika Global Network’s booth was a game modeled on the popular American game Twister. Have you heard of it before? The game involves a mat with rows of dots, each row being a different color. Players are given color-based directions on where to put their limbs; for instance, if told “right hand red,” players must put their right hand on a red dot. Players aren’t allowed to rest on their knees or buttocks for support, so the idea of the game is that they get contorted into different shapes and possibly collapse (which means they lose!). In this particular game, I was the one telling the players where to put their hands and feet. The children who participated in the game had to listen to instructions (in English) and make sure they didn’t fall. If they could go approximately 15 minutes without losing, they won and received a piece of American chocolate as a reward. Many of the children seemed to find the game quite challenging, but it looked as if they enjoyed themselves. If nothing else, they sure seemed to enjoy receiving chocolate afterwards. Thanks to everyone who participated! See you next time!